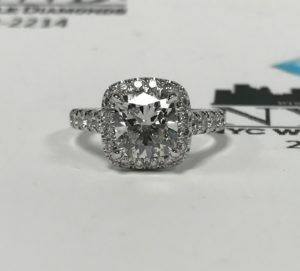 So excited to get started on the custom setting for this stunner! 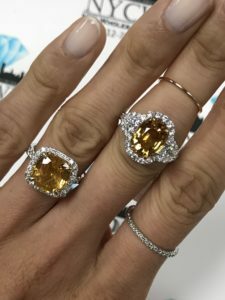 Thank you to our wonderful clients who put so much trust in us to find the most exquisite diamonds and guide them in such an important purchase! 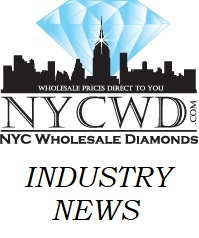 NYC Wholesale Diamonds continues our efforts to inform our treasured clients of the latest diamond industry trends and up to the minute updates from a collection of trade journals. ROUND DIAMOND prices have begun their recovery from multi year lows following the U.S. economic crisis of 2008. Far East demand is improving as Chinese consumers seek Pears and Princesses at better prices. US and European demand mixed. Ovals and Cushions are best sellers, followed by Emeralds and Pears. Marquises, and Princesses are weak. Oversizes are selling well. 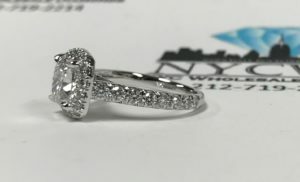 Steady demand for fine quality 6 to 10 carats. 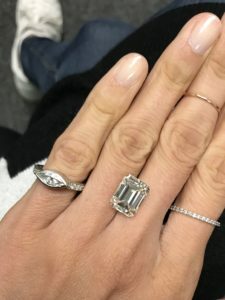 Ovals, Pears and Emeralds have prices holding firm for 3 to 5 ct due to shortages. US supporting market for commercial-quality, medium-priced fancies under 1ct. Off-make, poorly cut fancies illiquid and hard to sell, even at very deep discounts. 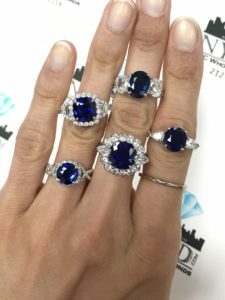 NYC Wholesale Diamonds carries an impressive inventory of Round and Fancy Shape Diamonds. Call or Email for your private viewing! Congrats to Hayden and Kristina! 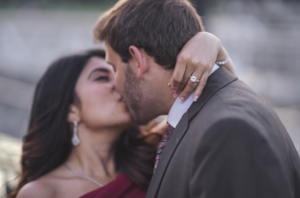 It was truly an honor to work with Hayden to design the perfect ring for Kristina! He wanted to take all the elements that he knew she liked and combine them for this showstopper! 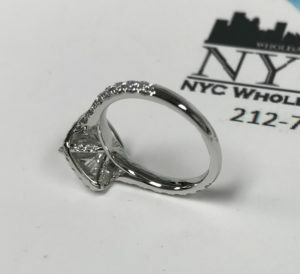 The couple was also kind enough to write about their experience with NYC Wholesale Diamonds. Here is their 5 Star Yelp Review. “I am a tinkerer. I like everything to be perfect and I pretty much do everything I can to make something perfect. I change my fantasy football lineup about 10 times every week before I can put together something I find suitable. This is the type of person I am and this is the person that Keith Saxe was able to put up with and handle. I asked Keith for a very specific design and he nailed it spot on. The ring is gorgeous. I almost didn’t want to give it to my fiancé. If I ever need any jewelry of any kind I will always come to Keith first.